One of the most deceptive devices in every magician’s repertoire has always been the expanded shell coin. In the right hands, miracles can take place with this ingenious piece of apparatus. Johnson Products pioneered the expanded shell made from sandwich coins. Our shells have passed through many stages of development, each one better than the last. The shell we are now offering is unequalled anywhere in the world. 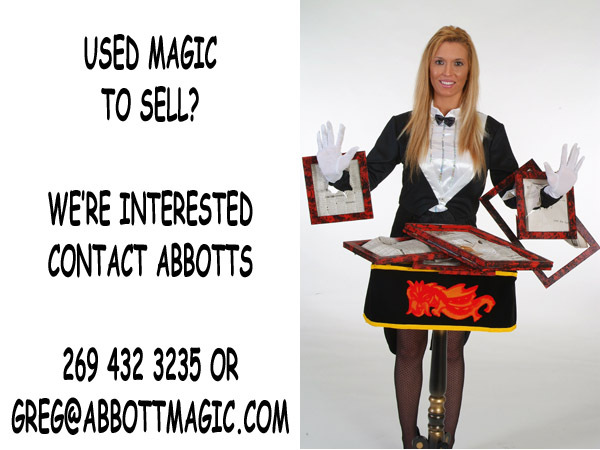 To be able to borrow ordinary coins and perform impossibilities with them is every magician’s dream. Expanded shells make this and more possible. These shell coins will fit over any coin of equal denomination. Dozens of effects are possible with this basic magician’s tool. We include a coins thru the table routine with each shell. 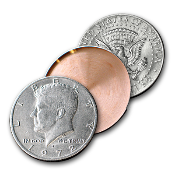 Eisenhower Dollar, Kennedy Half Dollar, Quarter and English Penny shells are available. Easy to follow routine included.